Today's modern executives love the distinctively different when it comes to expressing their style! 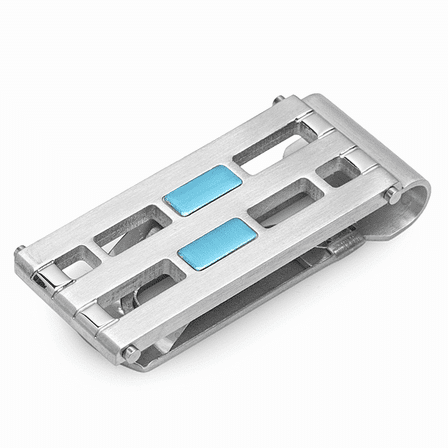 This industrial urban design in stainless steel creates a pattern of square and rectangular cutouts in the money clip, accented by blue ion-plated steel links. 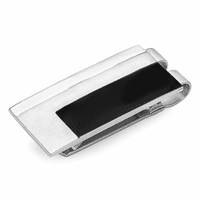 The spring-loaded money clip can hold up to 25 folded bills, and allows for easy adding and removal of cash as needed. 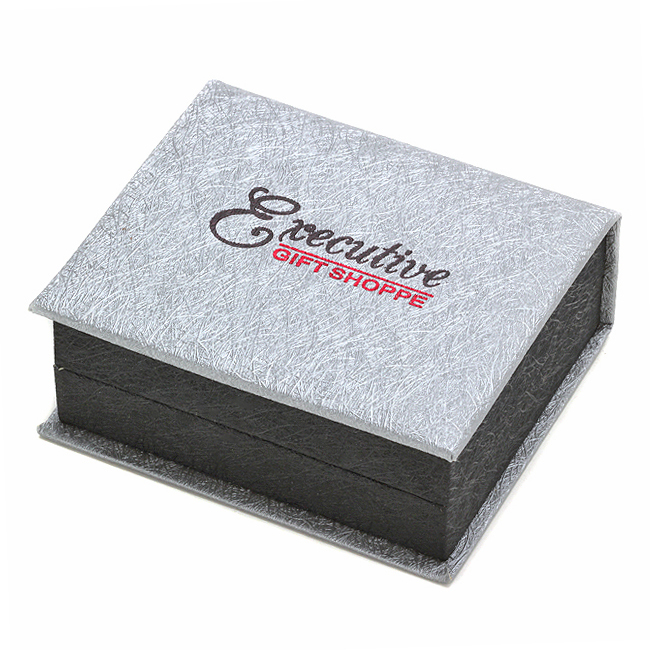 It is packaged in a gift box, ready for presenting to a family graduate, new executive, or as a birthday gift! How many cards can the clip hold? You could easily hold 3 or 4 credit cards in this money clip. If the clip is personalized what is the return policy as opposed to it not being personalized? If it is un-engraved, it is completely returnable. If you have it engraved, we would do an exchange to a similarly priced item if you're unhappy with it. 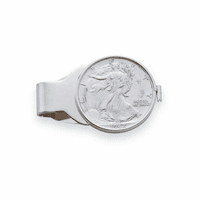 I had better expectations for $39 money clip, but this product seemed lack luster. The metal itself got scratched up easily ruining the simplistic design. In the end, the clip hooks on loosely and doesn't do much for my money. The clip also scratches up your cards too. I stopped using this product after almost a day, since the clip was unnoticeable to anyone. I switched back to my wallet seeing as how this would only seem beneficial if you want to keep a "spare wallet" in your car or somewhere where you would just need some random bills. I would put this on par to a paperclip and wouldn't recommend anyone buying this product. Merchant Response:We're so sorry you're unhappy with this item. You are welcome to return it for a full refund. Please let us know at help@executivegiftshoppe.com if you'd like to do that. You are also welcome to exchange it for another money clip. 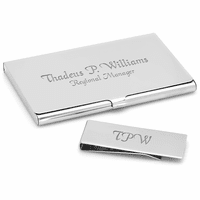 If you choose this option, we'll send one out with a prepaid shipping label to send the money clip you have back to us. 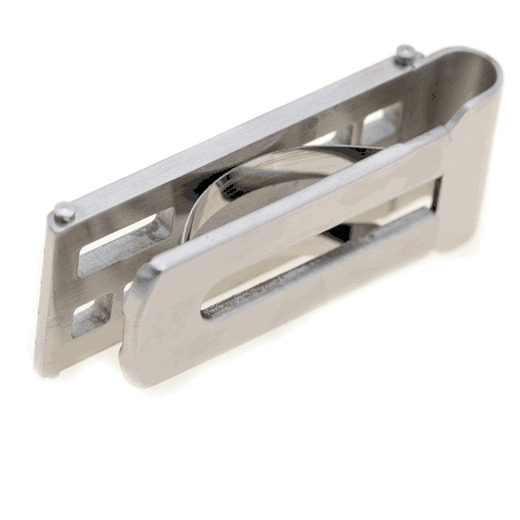 Money clip has modern industrial style and being spring loaded, it keeps all monies and credit cards together. ProsOrdering was quick and easy. Delivery was within time advertised.